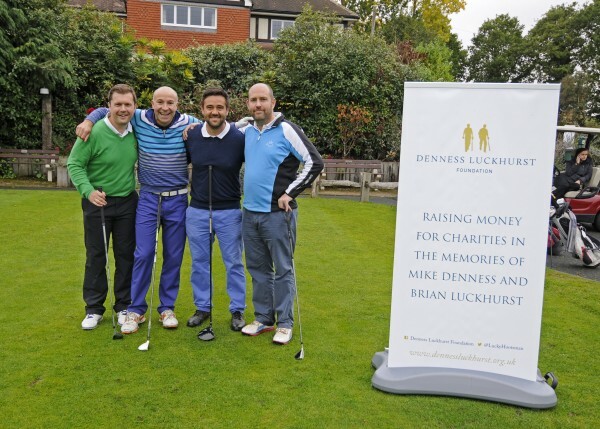 On Wednesday, 7th October 2015, we hosted our second charity golf day. The event was held at Sundridge Park Golf Club in Bromley, Kent, where we played the Open Championship pre-qualifying East Course. A great day was had by all, especially the winning team from AXA PPP in Tunbridge Wells! More importantly, we raised £12,500 on the day to support our three charities. The 18 holes of golf were followed by a dinner and charity auction where Chris Cowdrey, former Kent and England Captain, was again the master of ceremonies. Check our Facebook: Denness Luckhurst Foundation and Twitter: @LuckyHootsman pages for confirmed sports celebrities taking part in the event.